From year to year marina Hramina is host to a numerous sailors who enjoy the true beauty of sailing. It is a pleasure to see from one year to another the familiar faces that did not lose the passion and need to admire the beauty of our area. Owing to an ideal conditions for sailing, vicinity to the Kornati islands, our own charter fleet and famous cuisine, marina Hramina became a favorite place for sailors and regatta events. 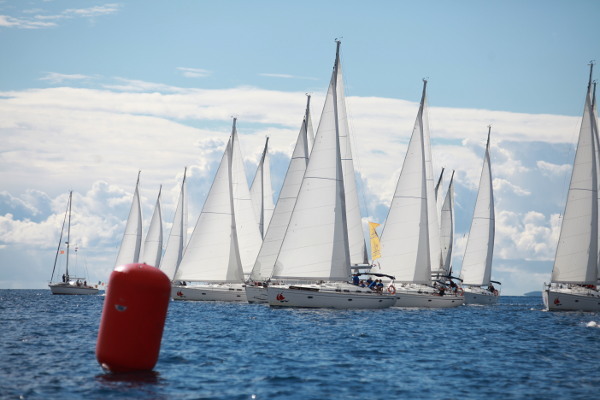 According to the wishes we are ready to carry out all the necessary activities from renting the boats, technical organization, the application of race, skipper, the recording of race, a full board for the participants and guests, the final gala dinner in our restaurants, awards and a wide range of entertainment programs. If you have not, you still have time to become part of our sailing story..